Never did manage to master the art of parallel parking? Might as well not even bother now that Nissan plans to introduce automobiles capable of parking themselves by the year 2016. 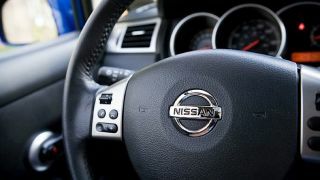 BloombergBusinessweek reported that Nissan plans to jump into the automated driving arena, first with automobiles capable of parking without a driver and, eventually, vehicles that can hit the open road all by themselves. Nissan Chief Executive Officer Carlos Ghosn claims the Japanese automaker will put cars with automatic parking capabilities out by 2016. It's technology already being implemented to some degree by rivals Toyota and Ford, though not quite to the same degree as Nissan is planning. "You need to be first with very significant features. There's always a premium with those who come first," remarked Ghosn during a meeting in Tokyo with reporters. Automated parking is only the beginning of Nissan's plans for driverless automobiles, with plans to introduce vehicles capable of changing lanes automatically by 2018 and expanding those abilities to traffic intersections sometime in 2020. Google has been toying with driver-free vehicles for a number of years, with 100 such prototypes expected to begin trials later this year; General Motors and Daimler have also thrown their hats into the automated car ring. Toyota, the world's largest automaker, is eyeing an approach where technology instead augments the human driving experience, acting as a sort of "co-pilot," although the Japanese company remains mum on when they might launch such plans. Traffic accidents are blamed for more than 30,000 deaths each year in the United States alone, a number automakers and federal regulators hope to reduce by making driving easier and freer from distractions. Find out the latest on Google Glass in our updated review!